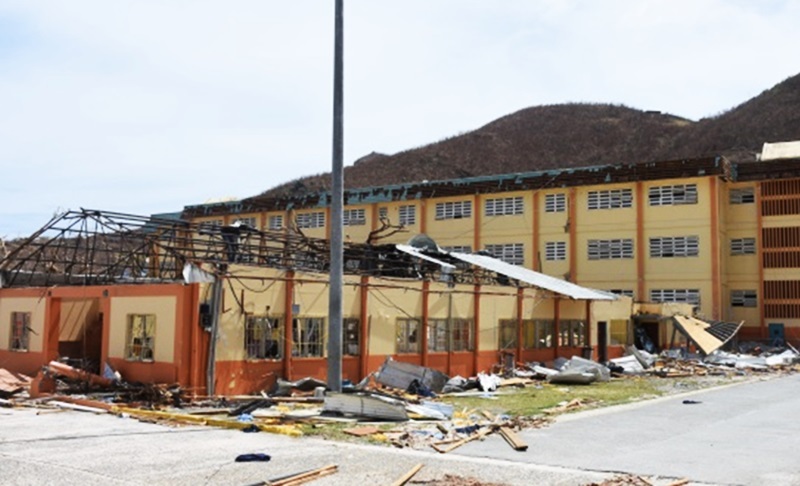 Minister of of Education Myron Walwyn has made an appeal for the business community to contribute towards the rebuilding of schools, adding that telecoms company Digicel has promised to undertake repairs at its adopted institution – Althea Scatliffe Primary. Five of the 16 public schools were affected severely when Hurricane Irma swept through the British Virgin Islands on September 6. “I am appealing to businesses in the territory – those who have adopted schools formally and those who have not – to please lend their support to our rebuilding effort. Persons interested in making donations can contact the chairperson of the Adopt-A-School Programme, Mrs Brenda Lettsome Tye, at 344-4720,” Walwyn said in a statement yesterday. He also made another appeal for volunteers. “As our territory needs all of us to do our part to rebuild it, the Ministry of Education is still soliciting residents to assist us. We are seeking community volunteers to assist with any of the centres that have been set up or by providing assistance with cleanup, rebuilding, salvaging school equipment and remaining materials, and transportation. We are asking that you send a WhatsApp message with your full name and area of interest to the Chief Education Officer, Mrs Connie George, at 541 7765,” Walwyn said. “This company has agreed to [also] provide internet access at our secondary institutions across the territory. We have also secured special internet spaces at the new Elmore Stoutt campus (old CTL building) for any child in the school system to have access to the internet to do research and access our online learning materials. The same will be done for Bregado Flax Educational Centre, Claudia Educational Centre, and the Virgin Islands School of Technical Studies,” added Walwyn. He also noted that the BVI Social Security Board is helping to rebuild its adopted school -Enid Scatliffe Pre-Primary.